Kyiv International Igor Sikorsky Airport (known as Zhulyany prior to March 2018) has announced the plan to drive traffic up 35% to 2.5 million passengers this year against 1.85 million in 2017, Valeriy Polishchuk, deputy general director at the airport’s operator Master-Avia, told Russian Aviation Insider. According to the executive, the growth is expected to be generated by the coming of new carriers and by the existing ones’ expansion of their route networks. An example of the latter is Italian operator Ernest Airlines, which has added a third service, to Bologna, to the existing routes to Milan Bergamo and Napoli, starting June 22. 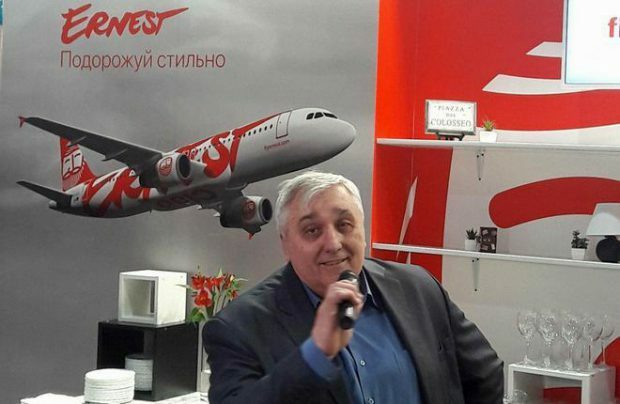 A source in the industry also told Russian Aviation Insider that Ernest plans to open flights to Rome and is currently working to obtain the Italian authorities’ approval. Polishchuk also mentioned Ukrainian start-up carrier SkyUp Airlines, which is launching services from Kyiv, and a number of other carriers, which secured slots in the winter schedule. He did not disclose any more details, but said that negotiations are underway with airlines from Estonia, Italy, and Spain. According to an industry source, the Estonian airline might be the regional carrier Nordica. Another significant factor expected to spur traffic growth is the introduction of a visa-free regime with the European Union. According to Polishchuk, after the regime came into force the seat load factors on aircraft from Kyiv increased on average by 10 percentage points, to 80-90%. He believes that an open skies agreement between Ukraine and the EU, which is likely to materialize in the spring of 2019, will drive this indicator even higher up. To accommodate the traffic surge, the airport is streamlining its infrastructure development efforts. As one of the measures, terminals A and D will be connected. “Actually I believe that if an airport stops construction efforts it is as good as dead,” Polishchuk commented. “So we are nor stopping. We have recently set up a cargo processing service.” Previously, the service was outsourced. To add this business to its portfolio, the airport had to turn some of the old terminal buildings into warehouses and equip them with refrigerators. The new service was launched about a month ago.